If you wish to apply to the Order, please follow these instructions carefully. There are 5 steps, to be done in proper order. Do each step in sequence. Successful training in initiatory systems equates heavily with the ability to comprehend and follow instructions exactly as given. Decide on the Username you wish to use when you register. This can be a Pseudonym if you wish. If you are unsure what you may wish that to be in the longterm, you may use any username for now, and we can easily update it later. Submit the Application for Admission form below. We will try to reply back to schedule your admission interview as soon as we can. Please respond as promptly as possible when we do so we can set a firm appointment. Additionally, to streamline the process for your account, after submitting your application you may elect to start the registration process on this site by creating an account through enrollment in Member Dues. (See Notes: 2 Below) If you are enrolled in any Transcendence Works courses, please use the SAME email address when you sign up here that you use to access your courses on that site. While video participation is not required for available group trainings or events, we do require it for the admission interview process (unless it is an in-person interview). It is for the protection of all Order members that we exercise caution and responsibility in this part of the admission process. Your anonymity, if you wish it, is protected. Your identity will be known only to the members of the Inner Order who are authorized for the interview process, i.e. the Overseer, the Secretariat, or those within the Chamberlain Council. We respect the need for privacy and discretion. You will never be required to forfeit your anonymity. We require registration through the Member Dues system prior to full enrollment. If you have not enrolled through that online system prior to your admission interview, you will be expected to do it during the interview, after being approved, so that the proper account can be located at that time and set to the correct elevation grade so you can begin the training immediately thereafter. If, for any reason, pre-registration has been made but admission is declined during the interview, a full refund will be issued for any member dues paid immediately following the interview. Did you read and understand ALL of the instructions above on this page? Are you of sound mental and reasonable physical health? Are there any issues we should know about regarding alcoholism? Have you read, understood, and found yourself in spiritual alignment with the following? Are you enrolled in any of the training courses on Transcendence Works? Do you agree NOT to share techniques unique to our Order that you learn will here with others (no exceptions)? Which of the following times are the best for scheduling a video session for your admission interview? In which time zone do you reside? We are EST (Eastern Time Zone). 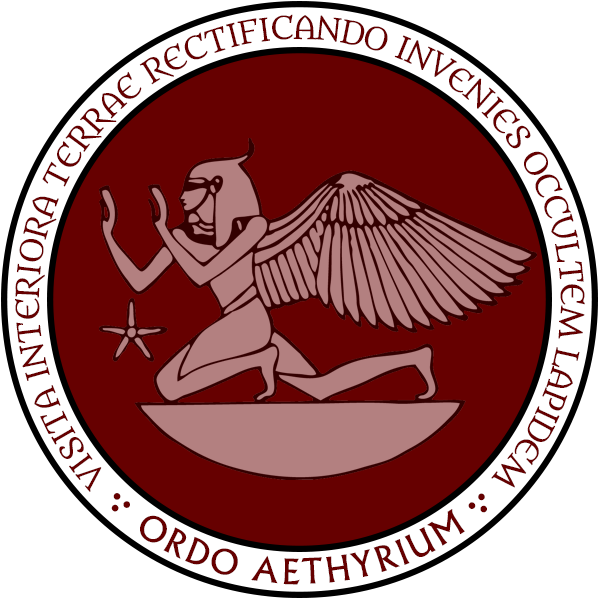 Have you studied, attempted practical work, or had training/membership in other esoteric fraternities? If 'Yes' please briefly describe. What do you most hope to gain on a spiritual level from training in Ordo Aethyrium? I understand that applying does not guarantee me admission into the Order. If I am accepted I am ready to begin promptly and will make every effort to do the work of my grade to the best of my ability.